A 17th Century pub in Torrington, the Royal Exchange in New Street closed, and was reopened in 2013. 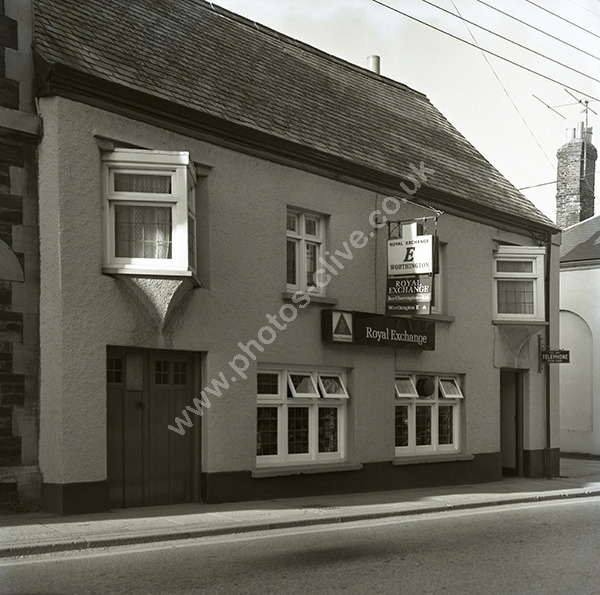 Pictured here in a bout 1974 when it was a Bass Charrington pub. For commercial use of this photograph please visit www.alamy.com and search for AEE4CP but for a one off print, please see below.